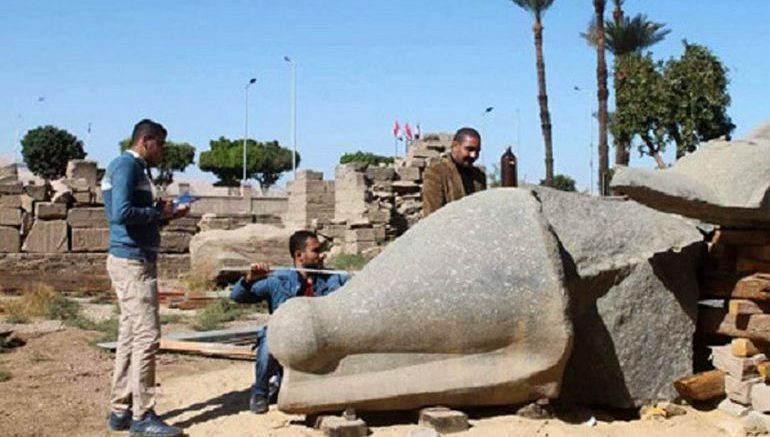 According to Egypt’s Ministry of Antiquities, a comprehensive restoration work is currently being conducted on the colossal statue of Ramesses II. This incredible piece of art, with its impressive 35 ft height (and 65 tons weight) used to embellish the facade of the first pylon at the renowned Karnak Temple Complex. More importantly, the particular statue was accompanied by five other gargantuan specimens of Egypt’s arguably most celebrated pharaoh – three of which had their standing posture complemented by two sitting ones. Now in terms of history, Ramesses II, along with is military campaigns and battles, was also known for his grandiosely conceived building projects and monuments. The Ramesseum mortuary temple and the rock temples of Abu Simbel stand testament to the pharaoh’s power and majesty in his native Egyptian realm. The 13th century BC ruler was also responsible for moving his royal capital to the newly designated site christened as Pi-Ramesses (also called Per Ramessu), possibly by virtue of the military potential of the area. According to a recent excavation project, a palatial complex at the site measured an awe-inspiring 344,000 sq ft in area, which is equivalent of around six American football fields. As for the colossal statue of Ramesses II in question here, it was probably destroyed by an earthquake in 4th century AD. 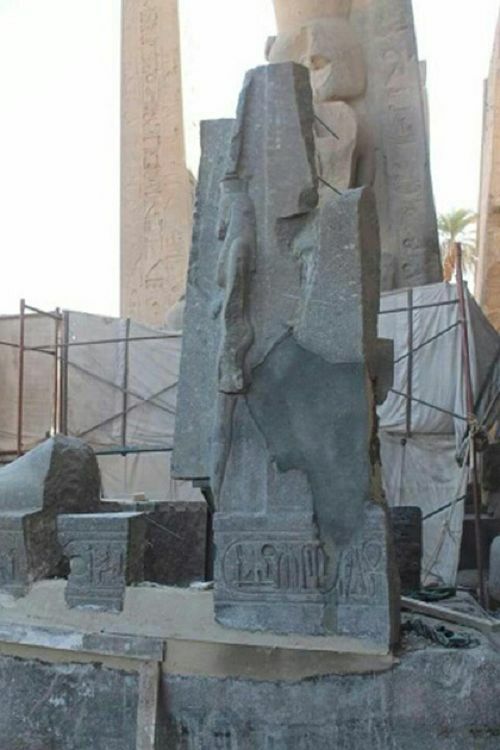 But fortunately for us history enthusiasts, Egyptian archaeologists have already started working on the restoration of this ancient art piece, as a part of an initiative taken in 2016. 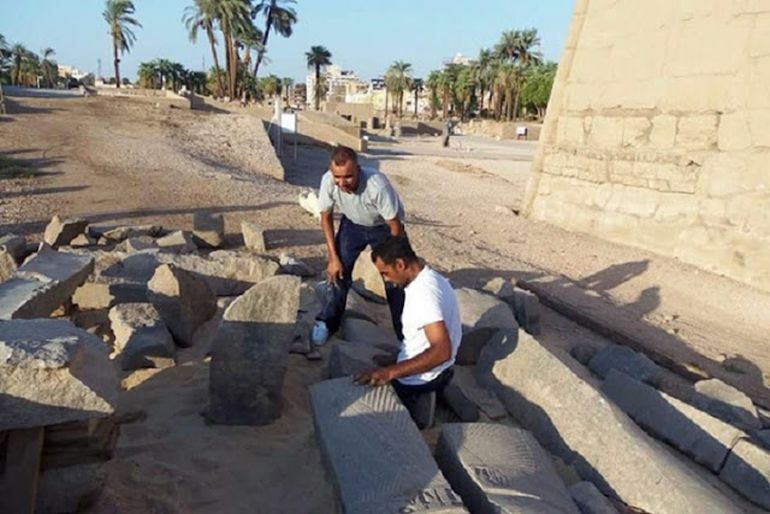 The Luxor governorate has supported the refurbishment project by supplying the much needed materials – and thus the complete restoration is expected to be completed by April of this year.